This beautiful outdoor space was expertly designed and constructed by Coolabah. 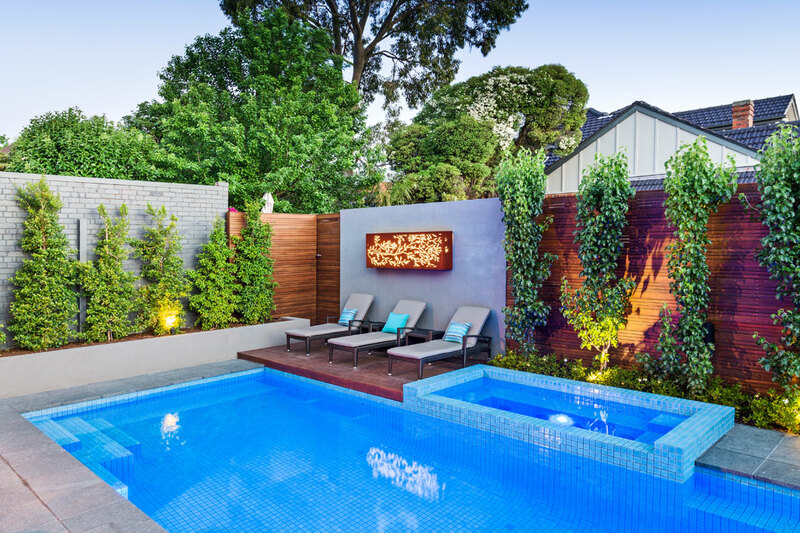 With an 8m x 4m pool, raised spa and multiple relaxation zones, the project provides the clients with a highly functional and visually appealing entertaining area. The fully tiled spa includes an overflow edge for a striking effect. 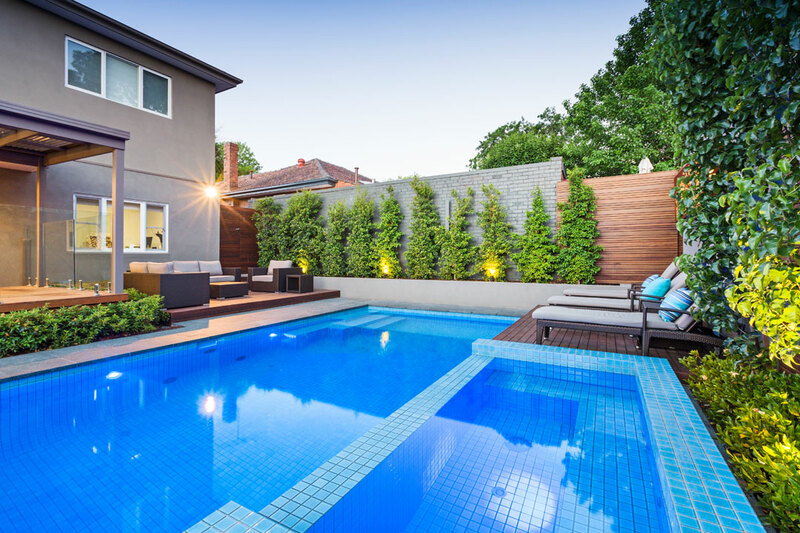 The strategically positioned pool takes advantage of sunlight throughout the day and features a gas heater to ensure it can be enjoyed year-round. An in-floor cleaning system was fitted to maximise efficiency, while keeping the water pristine. To create a seamless transition between the indoors and the outdoors, Coolabah constructed two raised decks and laid dark-granite paving. Frameless-glass fencing allows the pool to be admired from within the home, while the LED spike lights and recessed deck lights allow the clients to entertain at any time. The pool is fitted with an AstralPool C400 filter, Viron eVo P600 multi-speed pump, and Viron eQuilibrium Chlorinator. The pool was skilfully positioned to break up the multi-level space for a harmonious result. The neighbouring garage is expertly concealed by the lush landscaping. 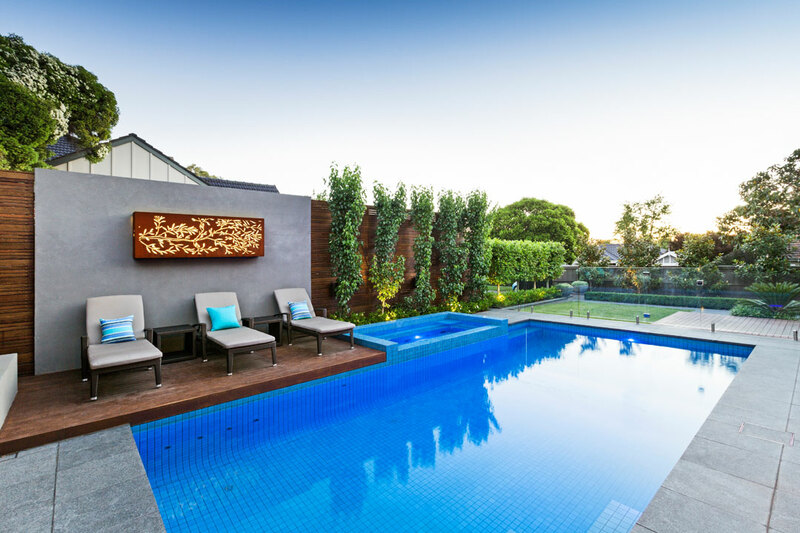 Working across Victoria, Coolabah specialises in landscape construction and custom-built concrete pools. The company’s expert team of registered builders, pool builders and landscapers ensure all outdoor construction is easily manageable for every client. Established by David Jarman, Coolabah constructs 20 pools per year to focus on the quality of every project it completes. 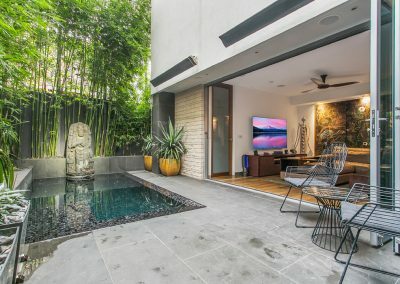 With a reputation for completing stunning projects, the company can give you the outdoor space of your dreams.